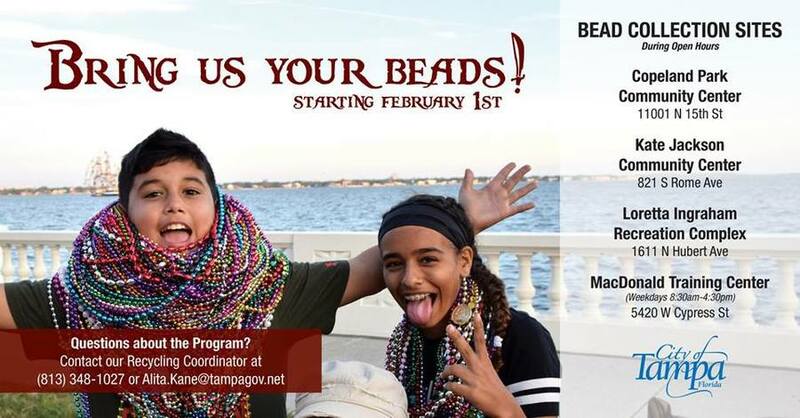 TAMPA, Fla. — After the Gasparilla invasion, more than 300 volunteers will be along the streets of Bayshore Boulevard picking up the mess left behind, and you can help! Starting at 9 a.m. Sunday morning, volunteers will gather on Bayshore Boulevard to remove litter and debris from the parade route. They'll collect trash and debris until 12:30 p.m.
All volunteers are asked to wear closed-toed shoes and bring a reusable water bottle. The group "Keep Tampa Bay Beautiful" says last year they picked up more than four tons of trash. If they're placed in curbside trash or recycling, they'll tangle in the equipment and possibly cause damage.